Danielle is Regional Director of the Midwest and specializes in competitive analyses, strategic consulting, demographics, and the consumer voice. She provides her clients with land acquisition feasibility studies, competitive market analyses, and positioning and pricing strategies. Danielle is based in the Chicago office. 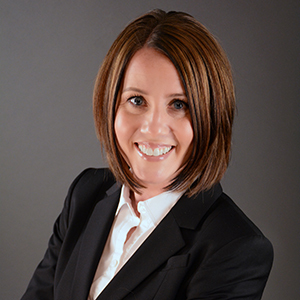 Before joining Metrostudy, Danielle managed the Midwest consulting efforts for John Burns Real Estate Consulting. Prior to that, she was the Marketing Manager for a senior rental community and Director of Strategic Marketing for Pulte Homes, conducting feasibility studies, competitive market analyses, and market research in the Chicago market for both traditional and active adult housing. Danielle has a B.S. in Marketing from Loyola University Chicago and holds a Real Estate Broker License in Illinois. She is active in ULI Chicago and CREW Chicago. In her free time, Danielle spends countless hours on the sidelines cheering on her two sons in football and lacrosse. She also enjoys running, hiking, and completing DIY home projects.